Mexican-style hot chocolate drink is a great drink for everyone, everywhere, from the young to the old, whether it is a great craving for something sweet or you are just seeking a home-cooked dessert to delight your taste buds. Usually, this comes in the form of powdered mix contained in individual packets. This can also be produced from chocolate tablets. The word “abuelita” is the Spanish word for “grandma”. It is a show of affection to the grandmother. For several generations now, this Chocolate Abuelita has become a staple in the kitchen and often times, an essential ingredient to making a truly scrumptious dinner or everyday meal. It is the ideal and perfect way to cap off a wonderful meal. With its frothy effect and delicious taste, it produces and exquisite touch. It can be utilized to bring out the truly authentic taste of dishes that are prepared traditionally. In our world today, where everyone is keen on experimenting, the drink has been known to be perfect when combined with spirits such as but not limited to Kahlua. 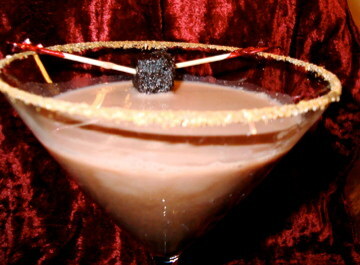 This drink is characterized by sugar, cinnamon and cocoa. This can even be used in making desserts like chocolate mousse, cookies, caramel flan, custard, and bread pudding. And who could forget using this in chocolate – coconut pies? This is a truly yummy ingredient to prepare a wide variety of dishes. The best part about this Chocolate Abuelita is that it is ridiculously easy and very quick and convenient to prepare. It does not take much of your time or burn a hole into your pocket. It is practical and economical to make. Just follow the very simple recipe found below and you will be on your way to a delicious cup of hot chocolate. What are you waiting for? Start creating your very own Chocolate Abuelita today! Break off a piece from a tablet of chocolate. Add milk and bring this to a simmer. Stir continuously the mixture until the concoction is combined well and completely melted. Traditionally, Mexican chocolate is beaten to produce froth. A “molinillo”, an implement that is wooden, is used to produce this effect. One can replicate the effect by placing a small quantity of chocolate inside a blender and pulsing it briefly.